The holidays are a time of year when families get together from all over the country. If you are going to be one of the many people taking a road trip, it is important that you get to your destination safely. Here are the do’s and the don’ts of driving during the holidays. Car maintenance. The first thing you should do before hitting the road is take your car to a trusted mechanic. They should check all the fluid levels, run diagnostics on your vital systems, and recommend any major work that needs to be done. If there is anything recommended within the time frame of your vacation, make sure it is done before leaving. This will help avoid any major problems while you are driving. Plan ahead. The roads are going to be full of travelers, meaning you might have to deal with long bouts of traffic. Make sure you plan for these situations and give yourself time to reach your destination. Keep a phone charger in your car so you won’t run out of battery. Load your phone up with everything you need, like apps for directions, an app for your insurance company for roadside assistance, and with phone numbers for hotels and family members. Pack for emergencies. Beyond packing your bags, you should make sure you pack the car for emergencies. Keep medications up by the glove box for easily locating them when needed. Make sure you have extra snacks, water bottles, and blankets for emergencies. Have a first aid kit handy in case of injury. It’s also a good idea to keep a spare credit card and some cash in the car somewhere, in case your wallet is stolen or misplaced. Driving drowsy. If you notice you are getting tired, stop for snacks, switch drivers, or pull over to rest for a bit before hitting the road again. Texting and driving. Just avoid using your phone at all while driving. If you need to text, make a call, look up something, or anything else on your phone, hand it to a passenger, or wait until your next stop. Break the Law. Getting a ticket while on vacation is a terrible memory and a big hassle. Make sure you don’t drive too fast and always wear your seatbelt. Push the limits. Know when you can pass a rest stop and when you can’t. If you have little passengers in your car, make sure you stop and let them use the restroom. Pulling off a road to let them go isn’t always safe or wise. Also, know the limits of your gas tank. Don’t pass a gas station thinking you’ll fill up at the next one if you are running low on gas. It may turn out that you are on the side of the road with an empty tank, far from any gas stations. 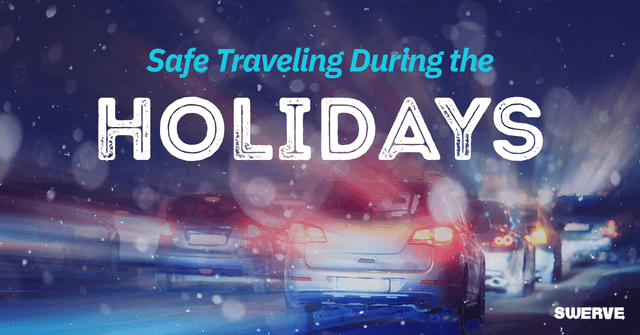 If you can follow these do’s and do not’s of traveling during the holidays, you can enjoy your time with family. After all, it is the most wonderful time of the year.